Yesterday was my birthday and I’m fortunate to have friends and family who know me well enough to buy me flowers on my special day. 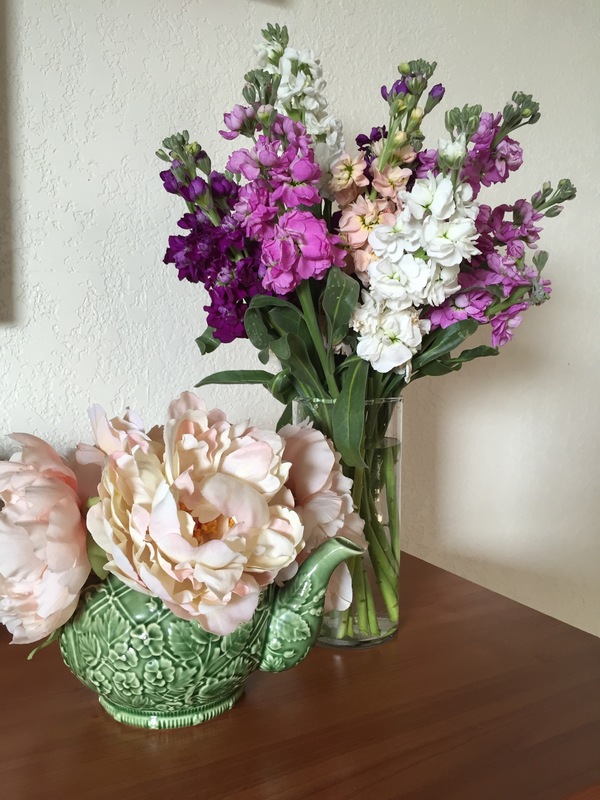 Fresh flowers add so much cheer to my home, but this simple luxury isn’t something I can always afford. That’s why I like to make my fresh flowers last as long as possible before having to toss them. Here are some simple ways you can make your grocery store flowers liven up your home for several days. 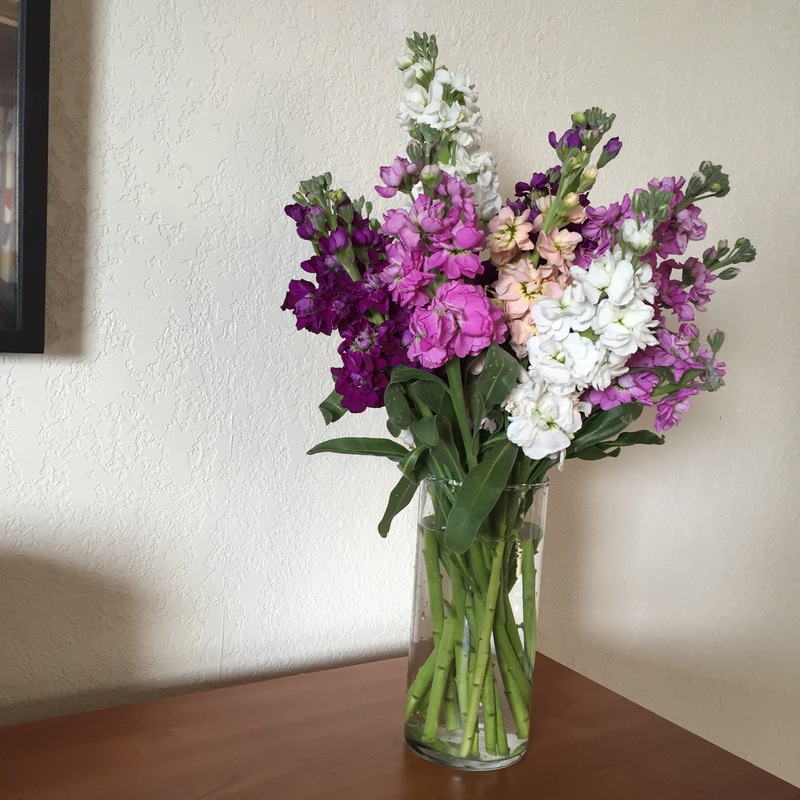 This may seem like a no-brainer, but the less time the flowers have been in the grocery store, the longer you can enjoy them in your home before they wilt. Look for blooms that haven’t yet fully opened. If you’re buying lilies or daffodils, select a bouquet where only a couple have opened and several are still closed up. This will ensure you will have blooms for days to come. If purchasing roses, avoid the romantically opened blooms. Those will only go bad quickly. Here’s a rose tip: gently squeeze the base of the bloom. It should feel sort of firm like a golf ball. If it’s squishy, then that rose is on its way out. Flowers are delicate creatures. Treat them kindly on their transport home. Cover the blooms with a grocery bag to protect them from wind, cold or heat. And get them home ASAP. They need water! Before you stick your flowers in a vase, make sure it’s clean. Don’t wash it with soap as you could leave residue in the vase that flowers don’t like. Scrub the vase with a drop of bleach and really hot water. Next, fill your vase with cold water. That little packet affixed to the bottom of your flowers? That’s a flower preservative designed to make your blooms last longer. It’s free. Use it. It can’t hurt. Pour it into the vase before placing your flowers in it so it fully dissolves. When you buy grocery store flowers they usually aren’t individually processed. Most of the leaves are still on the stems. Florists when creating arrangements remove most of the leaves not only for aesthetic value but because the leaves when immersed in water for long periods of time will rot and cause the blooms to die more quickly. When you bring home your flowers, carefully remove the lower leaves from each stem so that no leaves will be immersed in the water. 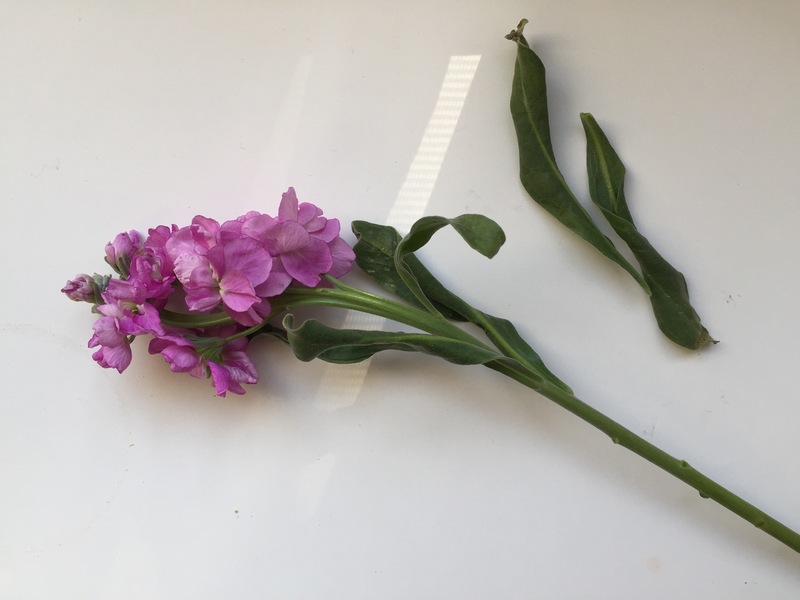 When a cut flower is removed from its water source it creates a natural seal at the bottom of the stem. I see it as the flower going into survival mode. 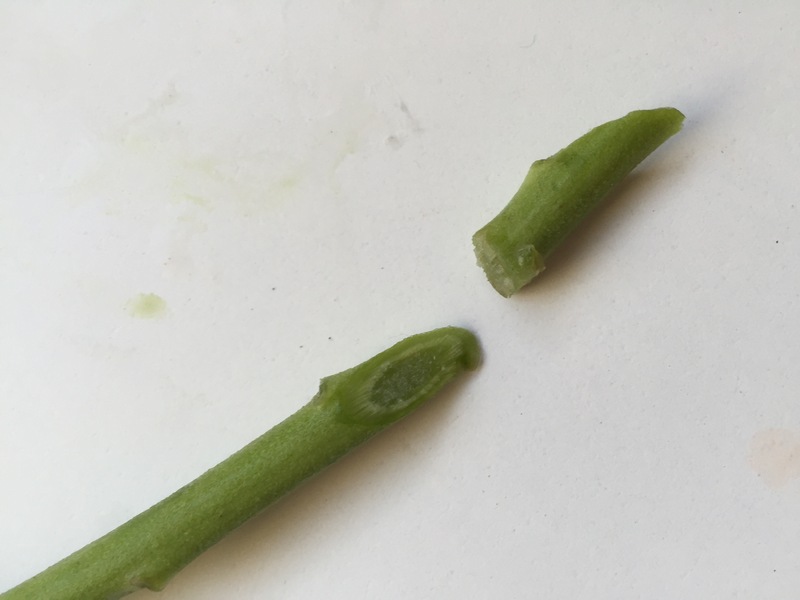 The stems need to be trimmed again and placed in water immediately. Roses will seal themselves after only five second of being out of water so be quick about it. 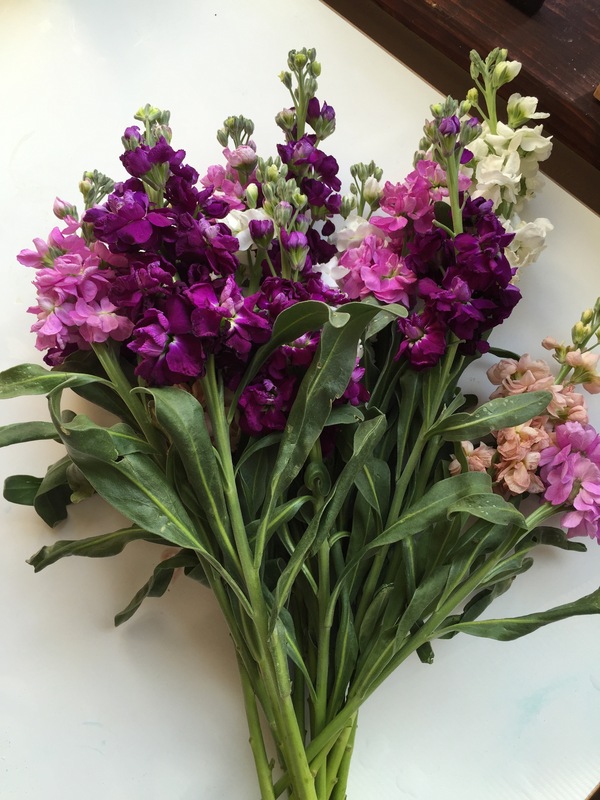 Try to trim them with a sharp knife, but if you’re in a pinch, scissors will do. You want the cleanest cut possible. Cut each stem individually instead of all at once. This will ensure a cleaner cut. Yes, I know I told you to use the nutrient packet in step 4 and changing the water would get rid of those nutrients, but when I worked at a flower shop as a teen, one of my daily jobs was to refill all of the flower buckets with fresh water. If we do it in the grocery store, why not do it at home? Give your flowers fresh water every day. Pour out the old water and refill the vase with clean water. Sometimes a flower will go bad before the rest of the bunch. It’s best to weed these out as you go to ensure that your perky flowers live longer. 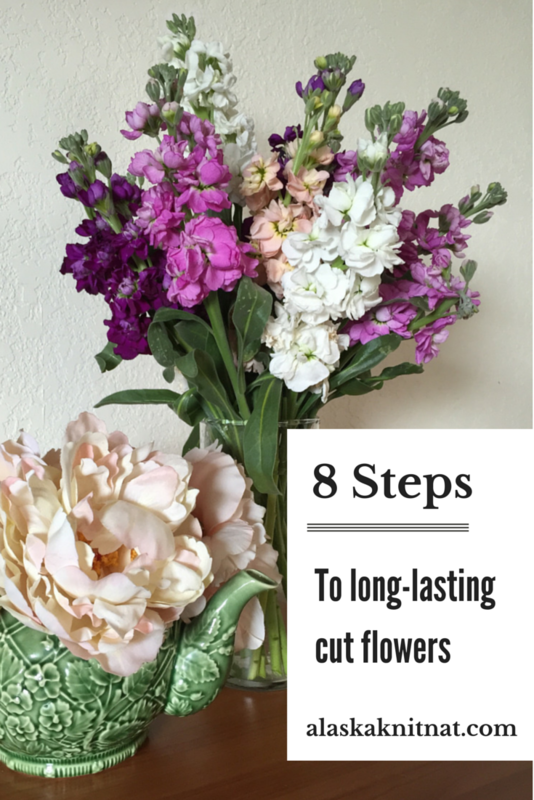 Follow these steps and you’re sure to make your grocery store blooms last for days!